Recently a Christmas pageant in a West Palm Beach church went awry when a live camel being led down the aisle fell over into several rows of startled attendees. When the air had cleared and they got over the hump, nobody was injured and the camel proceeded down the rest of the aisle. The moral of this true story? Not sure! Have you got one? 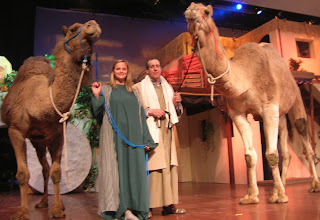 Maybe this..."a wise man sitteth not by the aisle when the camel cometh!"